It starts with a buzz and then a nip. If you’re quick enough, the culprit mosquito becomes a squashed smear on your hand. More often, it flies off unscathed. Either way, you’re left with a red, itchy welt. 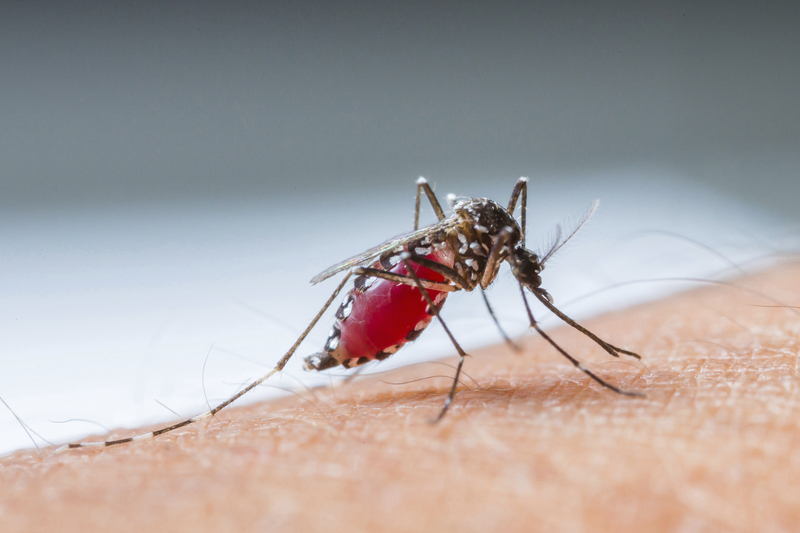 What physiological processes are set off to leave us swollen and uncomfortable when mosquitos bite? It’s actually a misconception that all mosquitos bite to get blood. Only female mosquitos feed on blood, and they don’t bite to do it. They use their straw-like mouths to pierce through the skin to locate a blood vessel (Check out this video to see the mosquito’s mouth in action). After the mosquito hits one, she spits into the wound. The saliva contains proteins that prevent blood from clotting, allowing her to drink your blood freely. When the mosquito flies away, some of the saliva is left behind and triggers an immune response. The immune system releases a substance called histamine that makes blood vessels around the bite enlarged and leaky. The increase in blood flow makes the bite appear red, and the flow of immune cells and fluid from the blood vessel into the surrounding area make the bite swell. Histamines also irritate the nerves in the bite area, making it itch. As summer begins to wind down, mosquitos do, too. Avoid pools of standing water and shaded humid areas during the day, stay indoors from dusk to dawn and consider bug repellent to keep new bites away. And, don’t scratch the bites you already have. Scratching can break the skin, which can cause infection and scars. End the summer itch-free!